MUNCIE, Ind. — An Indiana man broke a police officer’s hand during a scuffle as he was arrested on Saturday after he allegedly strangled a thrift store employee who sought to intervene as he went berserk in his quest to convert those present to Islam. Reports state that he repeatedly yelled “Allahu Akbar” as he fought being taken into custody by police. Khalid Sulaiman Bilal, 24, of Saudi Arabia faces charges of battery with injury, disorderly conduct, strangulation, battery with injury to police, intimidation and resisting law enforcement. The U.S. Department of Homeland Security is now investigating the incident. According to Fox 59 News, Bilal entered the Muncie Goodwill store claiming to be Muhammad and seeking to convert those present to Islam. He first went after a male employee, grabbing him by the collar, according to witness Chasity Fraley, who had been shopping with her three children. “We moved to a different aisle … so I could take my kids away from the situation because they got very scared at that point, and then I heard him say, ‘I’m going to kill everyone in here,'” she told WISH-TV. But then, after a female worker tried to intervene and calm Bilal down, he began strangling and assaulting her. When police arrived, Bilal resisted arrest, breaking the hand of one officer and kicking the other. Reports state that he repeatedly yelled “Allahu Akbar” throughout the ordeal, which means “Allah is greater.” He was tased at least twice during the tussle. Bilal was transported to Ball Memorial Hospital, but continued his violent rage as he struck an officer in the face after he broke out of his restraints. The Department of Homeland Security has since obtained a warrant to search Bilal’s apartment, and has confiscated two laptops, a camera and travel documents. Ball State University has confirmed that Bilal is a student at the school. “I believe Bilal showed signs of radicalized behavior in the March 25, 2017 incident and is a danger to the community,” the warrant request read, according to Fox 59. 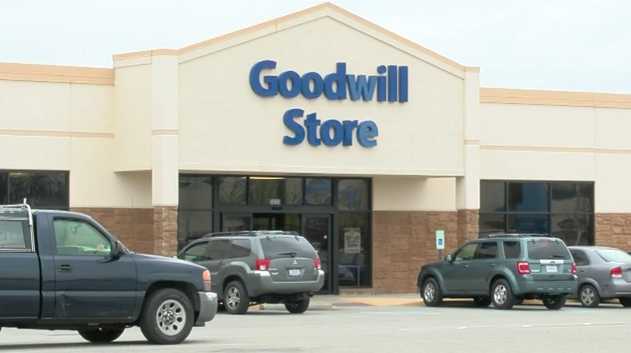 Goodwill has released an official statement praising the quick thinking of employees and the help of the Muncie Police Department.